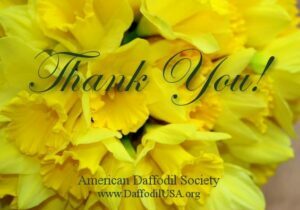 The American Daffodil Society maintains an Approved List of Miniature Daffodil Cultivars. A Committee reviews new cultivars to decide whether the size is compatible with the size of those on the list. Grace is an important consideration.